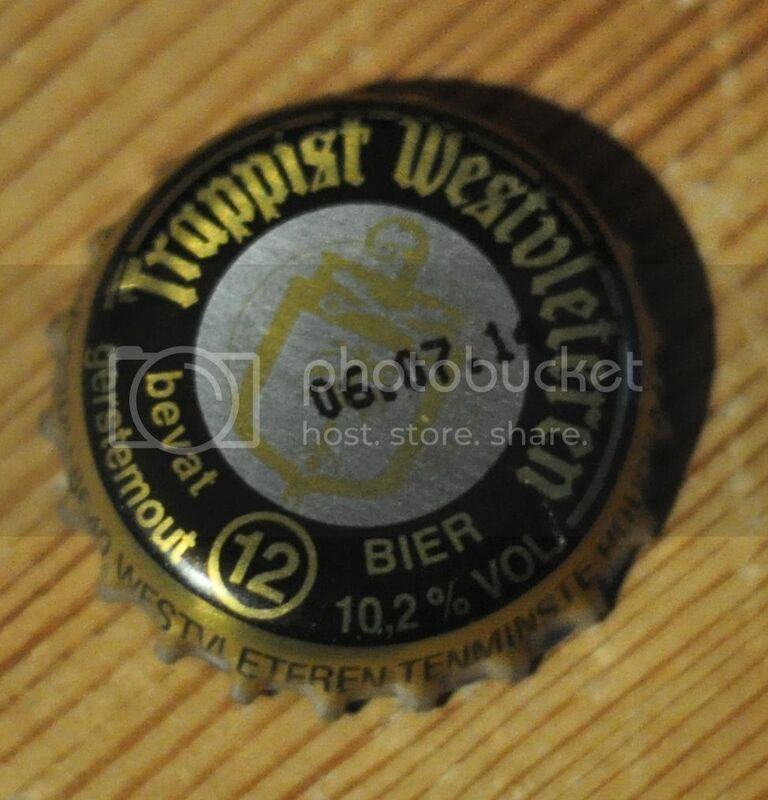 The rarest and most difficult to get of all the Trappist beers, Westvleteren! This was my Christmas present to myself, I knew after I found 2 of the glasses in an op-shop that I just had to get myself the beer. For those who know anything about this brewery, you could know just how hard this would be! The monastery produces a tiny ammount of beer (only about 5000hl) per year and have strict rules about the sale of the beer. They are able to control the sales because the only place you can buy the Westvleteren beers is from the monastery. Customers must first call the breweries phone lottery system to be placed in the draw to buy a maximum of one case of beer at a time. A person can only register for the lottery once per month and the monks forbid the resale of the beer, however, thankfully for me, this is widely ignored. 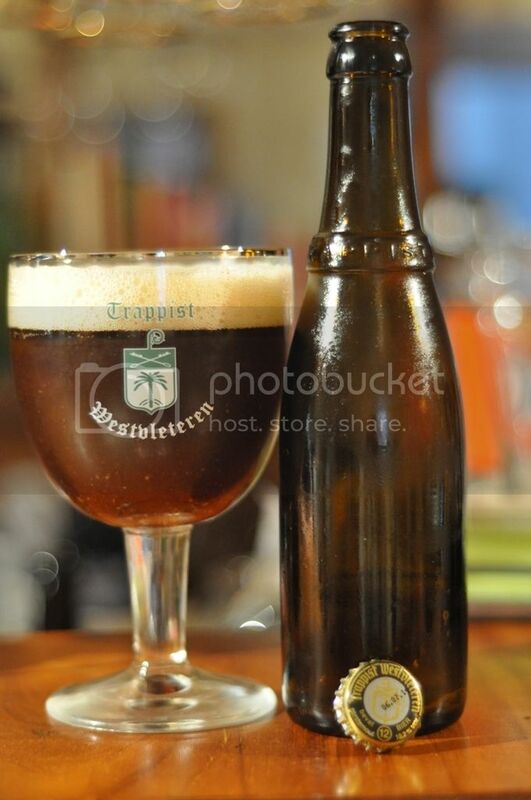 Bottles from Westvleteren are distinctive because of their lack of labelling. All information relating to the beer is located on the cap of the beer, see picture left. The beer is best aged for a long period of time and mine conveiniently has been. Anyway I'm really excited for this so let's get into it! 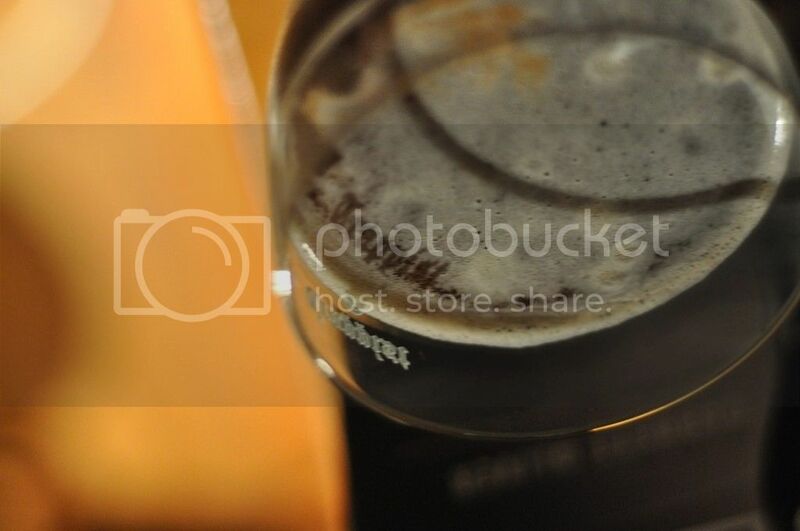 The beer is a lovely dark brown colour, with ruby hints when held up to light. There is a large tan coloured head on this beer, which is quite unusual for the style. I would also say that I haven't seen a quad with as much carbonation as this beer appears to have. It's a sensational looking beer with excellent head retention and lacing. Simply brilliant start! Westvleteren should be served at around 10 degrees, and around this temperature the aroma's really come into their own. It smells amazingly rich with the most prominent smells being the caramel malts and candi sugar. There is a large tail end of dark fruits of which I can clearly make out cherries, figs and plums however I expect there are definitely more than that. The overall aroma is incredibly complex and my words honestly don't do it justice, its amazing! I can't wait to drink this! It's simply amazing! I honestly don't think words can describe how good this beer tastes, however I will give it a go. There is an incredible array of flavours on display and it's quite hard to identify each individual element, as the beer blends together so well. I can identify the sweet caramel malts that are just spectacular and the dark fruits that were so evident in the nose. I honestly can't fault anything about this beer, it's so well put together and just beautifully balanced! Is this the best beer I've ever had? Maybe, it's pretty damn good! This beer is widely considered the best beer in world, and boy did it live up to it! The flavours are incredibly complex and just delicious! This beer is almost perfect in everyway, even at over 10% alcohol there is no evidence of it in the taste. There is still a reasonable ammount of foam left whilst drinking and most importantly you can't put it down it's that tasty! In saying that if you ever get the oppourtunity to try one make sure you savour it and take your time with it, it just gets better with every mouthfull!